Living with chronic pain is no way to live your life. If you are currently dealing with chronic pain, we want you to know that we empathize with how you feel, and we are eager to use our expertise to help you to go back to living a pain-free life. The reasons for chronic pain are varied. For this reason, we avail ourselves of a wide range of pain management techniques with the goal of addressing your unique pain symptoms. For some pain sufferers, an intrathecal pump has proven to be a successful way to control or remove their pain. A pain pump allows you to apply the medication directly to your spinal cord. A small pump is surgically inserted underneath your skin in your abdomen. 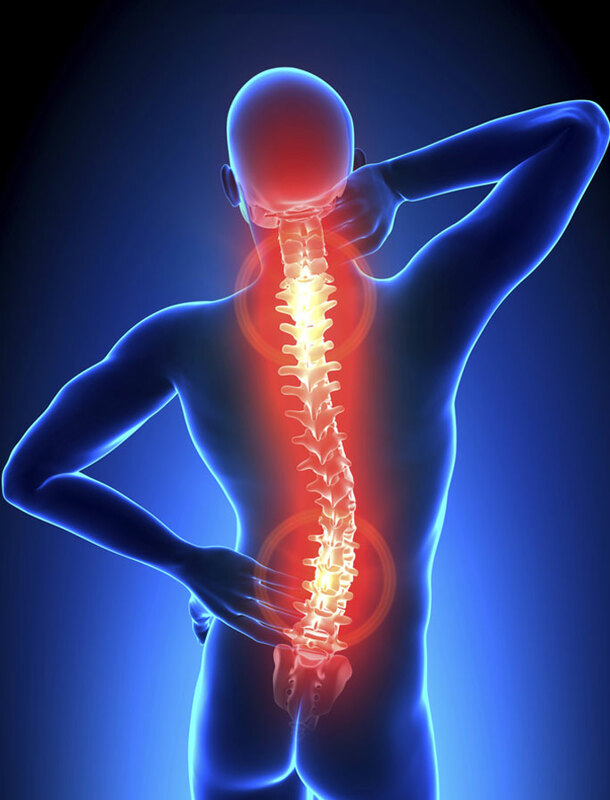 Via a catheter, it delivers pain medication to the area around your spinal cord. It is similar to an epidural that some women opt for during childbirth. A pain pump may be a good treatment option for you, especially if you have tried conservative or traditional pain treatment methods and they have failed. There are a lot of benefits to using an intrathecal pump. For example, since the pain medication is being delivered directly to your spine, a smaller dose is required than what you would take with oral medicine. There is also a reduction in side effects. Certain disorders, like cerebral palsy, multiple sclerosis, strokes, brain injuries, and spinal cord injuries, can leave you with muscle rigidity and muscle spasms that make moving your legs and arms a challenge. A pain pump may reduce some of the symptoms. How Does an Intrathecal Pump Work? Around your spinal cord, there is an area that is full of fluid. This is referred to as the intrathecal space. This area is surrounded by cerebrospinal fluid, which is designed to clean and protect the core of your nervous system, including your brain and your spine. An intrathecal pump is able to deliver pain medication directly to the cerebrospinal fluid. This means that the pain medication bypasses the long route it would take if it was delivered orally. In many cases, using an intrathecal pump will allow you to have the same effect as an oral medicine with only 1/300 of the amount of medication you would otherwise need. The pump is around the size of a hockey puck. The metal device is surgically placed underneath the skin of your abdomen. A catheter is then surgically placed in the Intrathecal space of your spine and is connected to the pump. Inside the pump there is a space for the pain medication. The pump is programmable. Your doctor can program it to consistently give you small amounts of medicine over a set period of time, or they can program it to release a fluctuating amount of medicine at different times of the day, depending on when and how you feel pain. When the pain medication and the pump is used up, your doctor or nurse can refill it using a thin needle that they stick through your skin into a port that is in the reservoir. The nice thing about this procedure is that it is a 100% reversible. If you do not like it, if your pain symptoms subside on their own, or if there is another reason to have the pump removed, it can be done. For many people, this is preferable to spinal surgery. Do I Qualify for Intrathecal Pump? You have tried conservative therapies and they just don’t work. You do not want or would not benefit from surgery. You need pain medication to live a normal life. You have no psychological or medical problems that would impede you from having the procedure done. You are not allergic to the medication used in the pump. You have gone through a trial with the medication used in the pump and have had a positive response. During the procedure, your doctor will first prep you by giving you anesthesia, positioning your body, and shaving the area where the catheter will be placed. Next, an incision will be made in the middle of your back, allowing the catheter to be placed and secured. Then, the doctor will pass the catheter under your skin from the spine to the point on your torso where the pump will be located. The pump will be inserted into the right position, secured, and connected to the catheter extension. The incisions are closed and a dressing is applied. It is not uncommon for there to be some discomfort in the days following the surgery. Your doctor will prescribe narcotic pills for a short period. You will need to rest and keep yourself well hydrated. For between two to four weeks after your surgery, you may not be able to drive. Housework and yardwork are also forbidden until you’re given the go-ahead by your surgeon. Gradually you will be able to return to your normal activity. There are some potential risks and complications from the procedure, and these will be discussed with you by your surgeon prior to the procedure. Individuals who have not lived with chronic pain cannot thoroughly understand what it is or what it is like. It consumes a person’s thoughts, it changes their personality, and it damages the relationships they have with friends and family members. Our goal is to help you identify the source of your pain and come up with an effective pain management program. We want to provide you with long-term and short-term pain treatment. The short-term treatment is designed to get you pain-free as quickly as possible. The long-term treatment is designed to keep you pain-free for years to come. We understand that the pain you experience is uniquely yours. For this reason, we do not use a one-size-fits-all pain management program. Our approach involves first listening to you, identifying how pain is affecting you, identifying your pain management goals, and then creating a unique individually crafted pain management therapy. We know that the pain you are experiencing is real, and we want to help you. Please be assured that we never give up on our clients. Our goal is to work with you until you are able to live a quality of life that you deserve.